To celebrate the run up to International Nurses Day on 12th of May, we are offering Nurses the opportunity to win a spa day for them and a colleague! 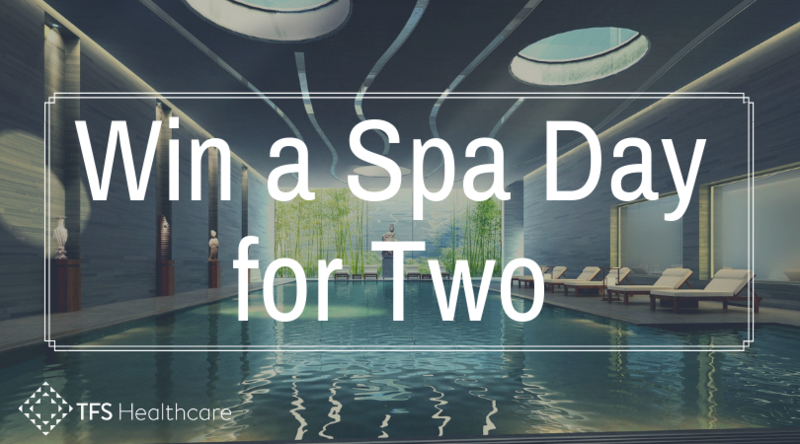 You and a friend will win a relaxing pamper day with three treatments each, as well as full use of the spa and access to fitness and relaxation classes. The winner will be announced on Monday 13th May. Good luck! The competition is being run by TFS Healthcare Ltd (company no. 7351100) whose registered office is at Two London Bridge, London, SE1 9RA. The competition is open to residents of the United Kingdom aged 18 years or over except employees of TFS Healthcare and their close relatives and anyone otherwise connected with the organisation or judging of the competition. Closing date for entry will be 12th May 2019. After this date the no further entries to the competition will be permitted. Winner will be chosen at random by software, from all entries received and verified by TFS Healthcare. The winner will be notified by direct message on Facebook on Monday 13th May 2019. If the winner cannot be contacted or do not claim the prize within 14 days of notification, we reserve the right to withdraw the prize from the winner and pick a replacement winner. The winner will have the option to select with Bannatyne Health Club location they will to book at, and the voucher will be valid for 9 months from the competition closing date. The winner agrees to the use of his/her name in any publicity material, as well as their entry. Any personal data relating to the winner or any other entrants will be used solely in accordance with current UK data protection legislation and will not be disclosed to a third party. This promotion is in no way sponsored, endorsed or administered by, or associated with, Facebook, Virgin Experience Days or Bannatyne Health Club.